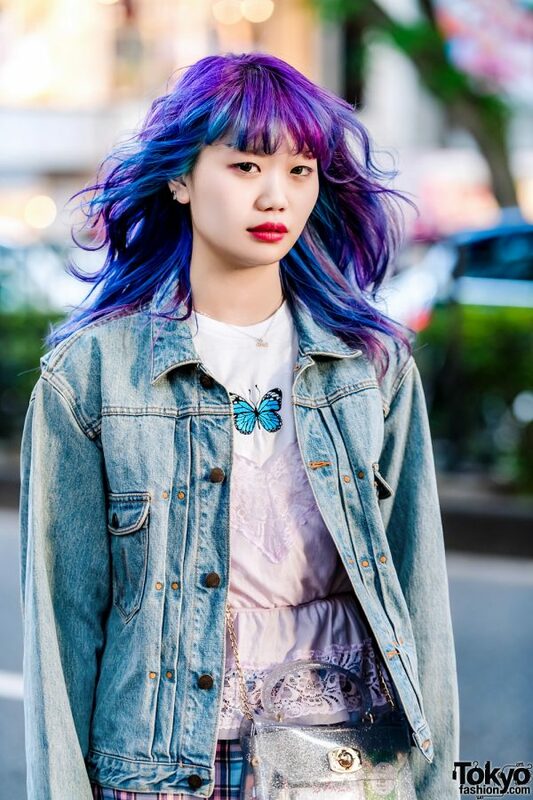 While out on the streets of Harajuku, we spotted Elleanor, a Japanese punk rocker, style icon, and model who we often feature in our street snaps. 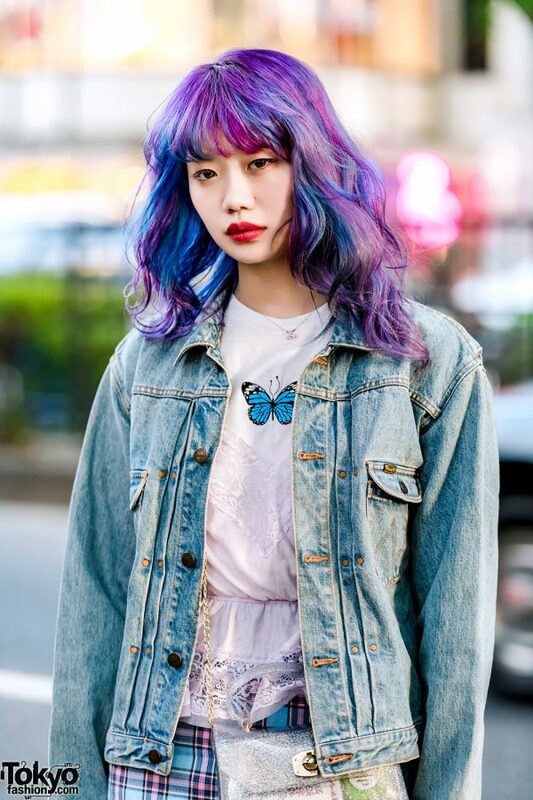 Today, Elleanor – sporting blue-and-purple ombre hair – is decked out in a denim jacket from the Harajuku vintage shop Kinji, worn over layers of white butterfly print t-shirt and a pink lacy camisole, both of which are from WC Harajuku. She styled her layered tops with a plaid skirt – also from WC – black socks, and black leather heeled loafers. 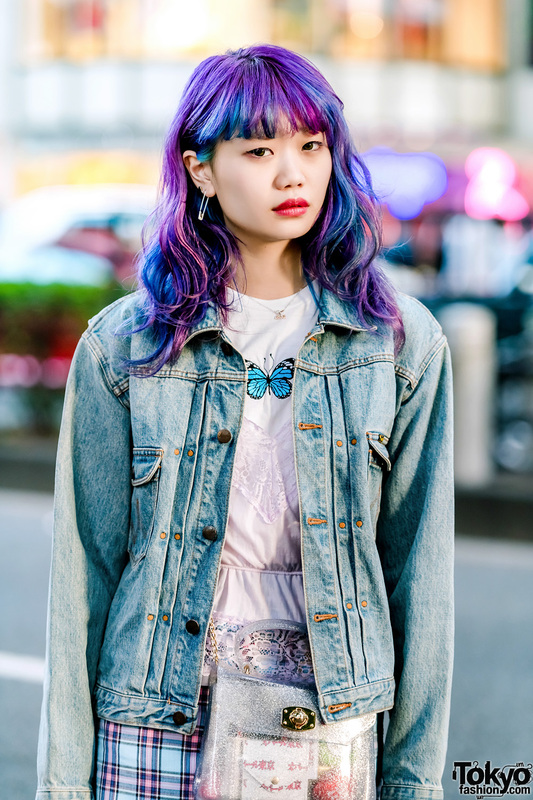 A silver pendant necklace, safety pin earrings and a silver see-through glitter bag with a chain sling rounded out her look. Elleanor likes the music of the Japanese punk band Questions and Answers. 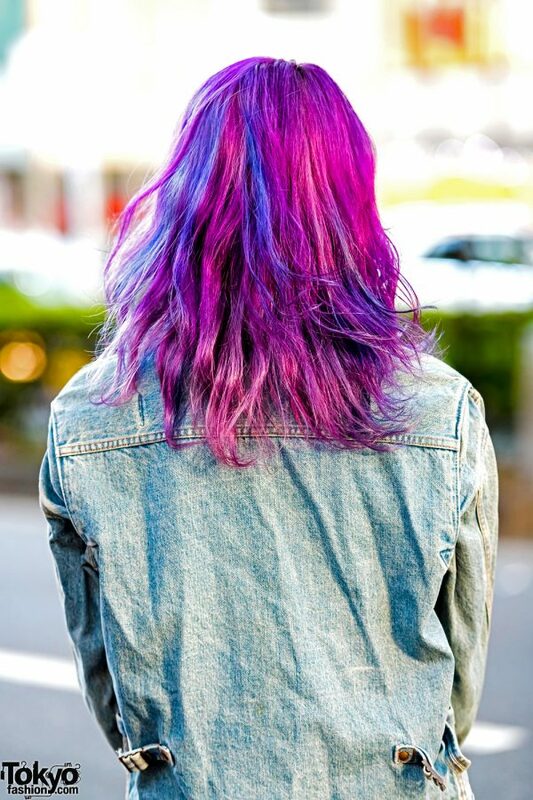 She is active on Instagram.